The Bush Business Furniture Series C 60"W Credenza Desk fits in small spaces but offers enough room for years of productivity. Spread out on the rugged thermally fused laminate surface while enjoying a classic look featuring clean lines and extended modesty panels. A heavy-duty construction, rugged edge banding and thick end panels resist damage to ensure continued quality. Use this commercial office furniture product as a standalone Desk or Credenza, or expand your office with coordinating items from Series C.
This Office Desk works as a Return to form an L or U Shaped configuration when combined with matching products. 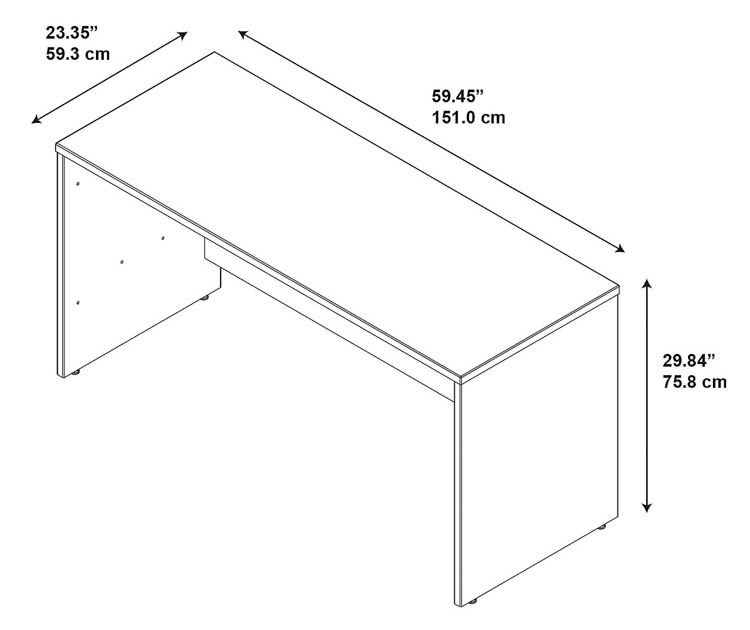 Add a Hutch, Keyboard Tray, Pencil Drawer or File Cabinets (all sold separately) to complete your office. This affordable commercial office furniture boasts quality American made craftsmanship, user-friendly features and 7 stylish finishes. Multiple layout options meet the needs of numerous workspaces. Affordably priced but built to last, quality meets value with Series C.
Withstands the rigors of a 40-plus hour work week. Series C evolves with your office and your preferences, allowing you to reconfigure your workspace as required with a complete line of coordinated products and accessories. Meets ANSI/BIFMA test standards in place at time of manufacture.